For almost the entire year, Fantastic Beasts: The Crimes of Grindelwald has gone unnoticed. Now being that it’s release date is in November, it’s not at all a huge shock, but for a title that falls under the Harry Potter banner, it does come with a little bit of a surprise. While it was flying under the radar almost all year, it has quietly taken advantage of recents weeks and filled out eyesight with plenty of promos that will no doubt get more than just the Harry Potter fan excited for what this sequel holds. I for one am indescribably looking forward to the sequel. I was surprised by how much fun I had with the first one, and how much I appreciated its desire to separate itself from the Harry Potter franchise, while also keep the same identity. I thoroughly enjoyed Eddie Redmayne’s performance as Newt Scamander and was intrigued with the world that both director David Yates and author/writer J.K. Rowling set up. So far, from all the footage we’ve seen, The Crimes of Grindelwald looks to continue the story very fluidly, as well as opening new doors to new possibilities for what the franchise can do down the line. Now we are just over a month away from the film’s release, which for me means I don’t want to see anymore new footage. Thankfully we aren’t talking about a new trailer, rather a batch of new posters that have been released. The style that the Fantastic Beasts franchise has taken on from the beginning in very unique, and it has once again been put on display in these new posters. The best of the bunch is probably the one that asks “who will change the future?,” but the other posters are just as interesting as the pairings each of the one-sheets feature could be detrimental to the overall story. Check out the brand new posters below, and leave your comments in the section below! How much are you looking forward to the sequel? Is this the story you’ve been waiting for or are you still waiting for something to get your interested? How have you liked the trailers so far? 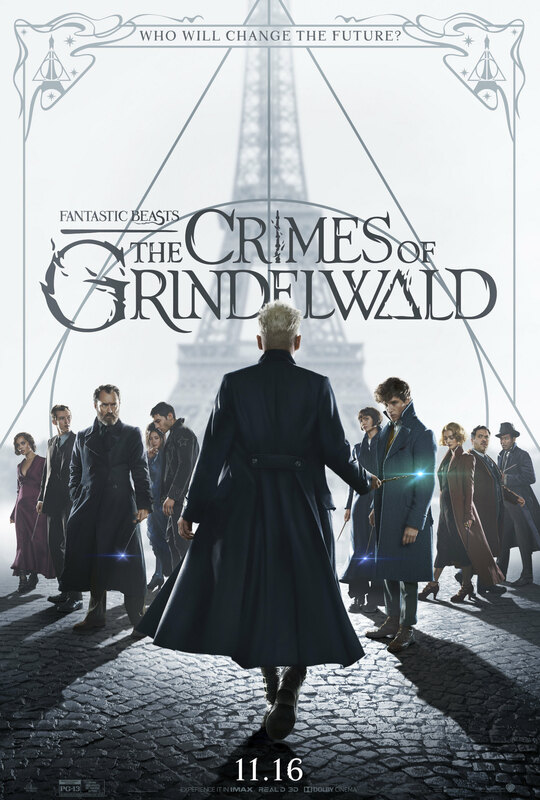 Starring Eddie Redmayne, Jude Law, Katherine Waterston, Dan Fogler, Alison Sudol, Zoe Kravitz Ezra Miller, Callum Turner, Claudia Kim and Johnny Depp, Yates’ Fantastic Beasts: The Crimes of Grindelwald will be released on November 16th.